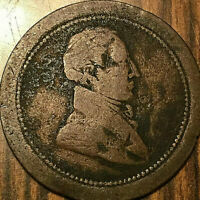 1820 LOWER CANADA HALF PENNY TOKEN BUST AND HARP - Great example!! 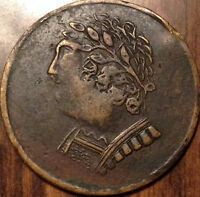 1820 LOWER CANADA HALF PENNY TOKEN BUST AND HARP IN HIGH GRADE ! 1812 LOWER CANADA HALF PENNY TOKEN TIFFIN IN VERY GOOD CONDITION ! 1833 UPPER CANADA HALF PENNY TOKEN TO FACILITATE TRADE A BEAUTIFUL EXAMPLE! All items are shipped from Canada via Canada Post and the shipping method you have selected and paid for. Up graded Delivery service available if we agree on service & charge. In this situation, please contact me before your payment. By selecting the lowest cost shipping method offered, you agree that you are aware of, and accept the risk such shipping method presents. Any possible loss will be 100% your responsibility. You will not receive a refund or other compensation.